The Kershaw Indian Ford model 2155MOP with mother of pearl inlays is a stunning knife. 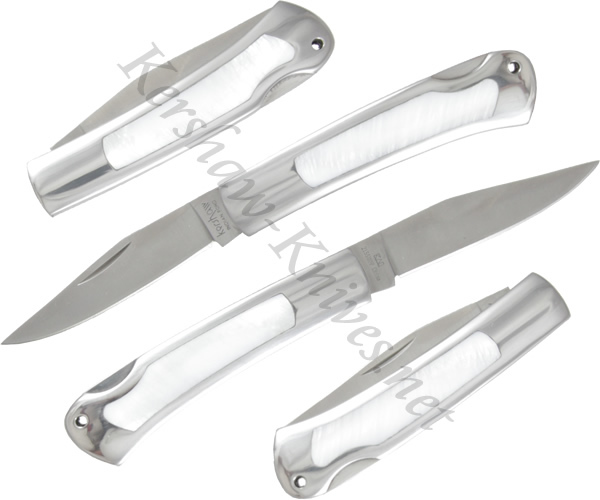 The classic design has a traditional nail nick and lockback for opening and securing the AUS6A blade. The handle has a satin finish that lends an extra touch of sophistication. The Indian Ford 2155MOP is 3.5 inches long and weights only 2.7 ounces.